Continuous Cord Loop (14) ? Cordless Top Down Bottom Up (13) ? WHY BUY HONEYCOMB SHADES/CELLULAR SHADES? 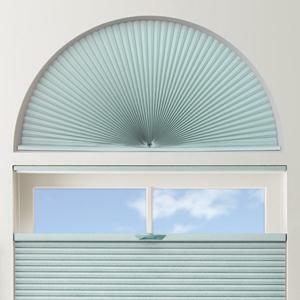 Why all the buzz about honeycomb shades? Also known as cellulars, these highly versatile products remain the most popular customer choice for covering windows here at SelectBlinds.com. Taking their cue from Mother Nature, the unique, namesake honeycomb construction of these DIY and designer-favorite window treatments is as functional as it is beautiful. Available in single-cell or double-cell, light-filtering and blackout fabrics, cellulars insulate your home from heat and cold and help you save money on power bills while softly diffusing or completely blocking out light. Perfect for the trending minimalist look, honeycombs are a style standout on their own, or paired with drapery and other products to create unlimited designer-inspired looks throughout your home. Choose from soft-spun lace fabrics in a wide array of colors and patterns to add a touch of subtle texture and energy-efficient class to any space. So what’s the difference between single and double cells, and which type of cellular blinds should you choose? 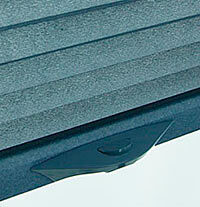 Single- or double-cell construction has to do with the energy efficiency of the shade. Drafty windows are the biggest culprit when it comes to air leaks in most homes. While both single- and double-cell honeycomb blinds block harmful UV rays and provide insulation against heat and cold, double cells trap more air than a layer of single cells, making them more energy – and cost – efficient. Sweeten your honeycomb/cellular products with a cordless lift system. Cordless window treatments are the safest choice for homes with young children and pets because there are no cords to get tangled up in. And they just look better. (Who wants to see cords pooled on the window sill or hanging to the floor?) 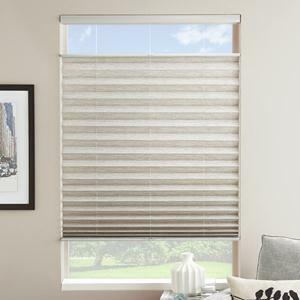 At SelectBlinds.com, every cellular shade comes available with a free cordless lift system upgrade, or you can upgrade to a top down/bottom up, continuous cord loop, or motorized wand or remote-controlled system. Watch this quick video to decide which lift system best meets your needs. Besides your choice of lift systems, cellular window fashions can be customized to fit any décor, with hundreds of colors and even patterns to choose from in light filtering or blackout fabrics. They make a great foundation for a custom layered look, too, when framed with curtains or drapes. Size is an option, too. Both single- and double-cell honeycomb window treatments come in a variety of pleat sizes – 3/8” being the most popular – up to 2”-plus wide. That’s why they’re a great choice when covering windows of different dimensions in the same room or area, because you can easily create a sleek, unified look throughout the space. 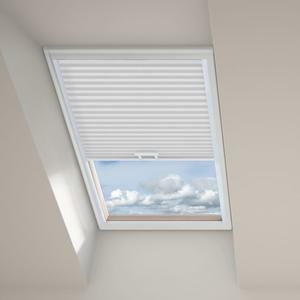 Cellulars with smaller pleats look more proportional in smaller windows (too many rows of small cells can look too busy in an oversized window). Larger pleats are actually lighter per square foot than smaller sizes, so they won’t sag, making them perfect for large sliding doors and wider windows. 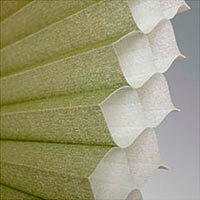 Bored with traditional blinds and ready to create some design buzz of your own? Here’s how to measure for honeycomb shades to get started.